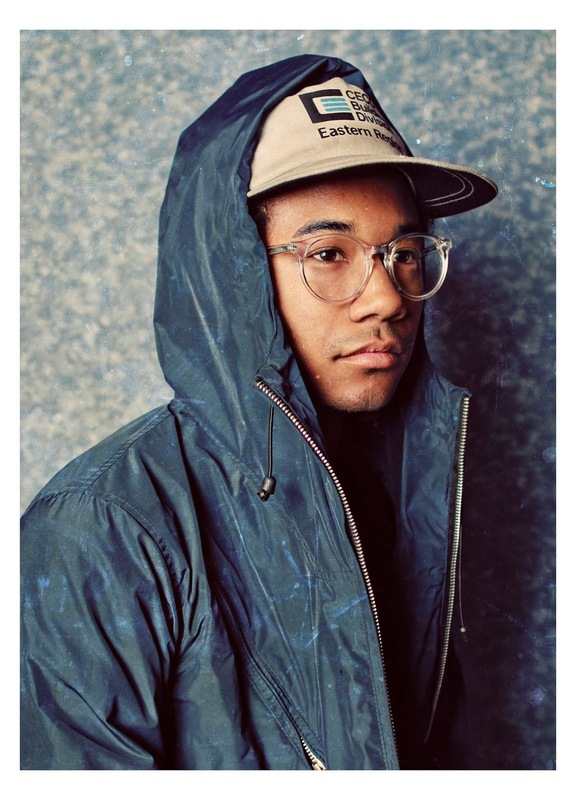 In a world where more and more musicians are heavily tapping into the electronic side of the music scene, Chaz Bundick, better known as Toro Y Moi, has been able to consistently set himself apart and rise above. Born in South Carolina, Bundick spent the majority of his formative years paying in indie and punk bands before creating Toro Y Moi in 2001 to further his musical exploration. Aside from proving to be a prolific musician, Bundick has proven himself to be a diverse one as well. I don't want to compare the two artists, because they greatly differ for many others reasons, but James Murphy (LCD Soundsystem) often comes to mind largely because of his diverse musical upbringing having once played in punk bands prior to the formation of LCD Soundsystem. I think what distinguishes great artists is their diversity, which could refer to their ability to incorporate a variety of sounds or ability to play multiple instruments, but Bundick has the ability to do both. With heavy interest in his solo career, Bundick began incorporating electronics into his work opening up a wider range of influences such as: 80's R&B, Hip Hop and "Brian Wilson's Pop." 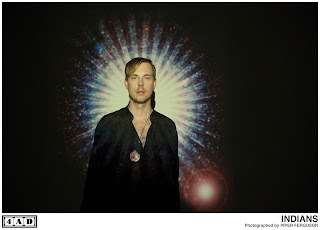 As these influences started to become more apparent within his work, 2009 helped him gain notoriety from blogs across the web praising his personalized "chillwave sound," strongly heard on his debut album Causers of Time. The following year, Toro Y Moi returned with a broader sound relying less on drum machines and more of the "funky psych-pop" featured on Underneath the Pine. 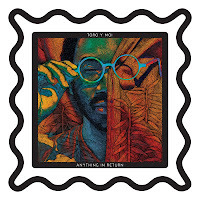 After relocating from South Carolina to Berkley, Toro Y Moi has returned with his third full-length LP Anything in Return. Away from friends and family, the album touches on the topic of (Bundick) trying to become a better person with the exception of two songs, said to be his version of "Pop Songs." The first one, "So Many Details," is one of my personal favorites on the album and plays off a much darker tone than what we are used to hearing. Another standout is "Cake," which Bundick allegedly wrote as a pop song that his girlfriend could easily dance to. Bundick continues to dabble in various sides of modern music-making on Anything in Return, sampling more hip-hop driven songs that feature 4/4 beats and applied effects (often associated within the house genre). "Say That" and "Rose Quartz" resemble more of the "chillwave" sound commonly heard on Underneath the Pine, while "High Living" and "Day One" are more suggestive of a Californian and funk influence. 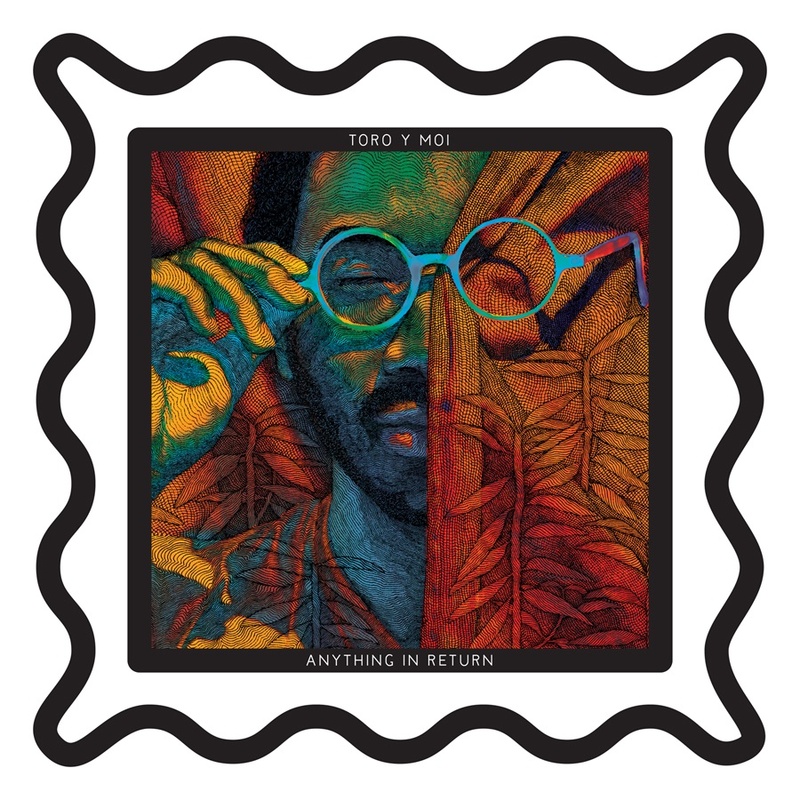 Overall, Anything in Return puts Toro Y Moi in the middle of the producer-songwriter spectrum and is a clear contrast of the first two albums. The album is "uninhibited by one clear genre," but works in his favor with his ability to combine multiple sounds into something more cohesive and personalized. 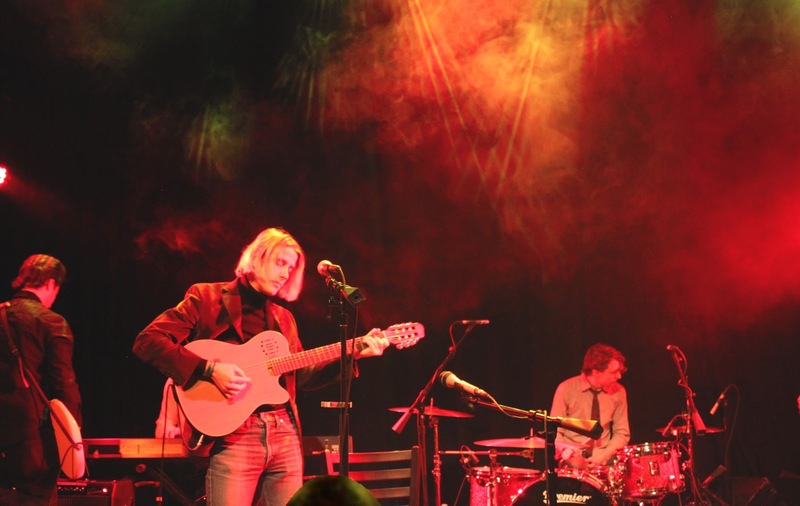 As a songwriter, he appears to be more confident with stronger vocals throughout. Anything in Return is proof that Toro Y Moi is a prolific and diverse musician with the capability of pushing his own musical limitations. Interestingly enough, with hopes to one day return to his original career as a graphic designer, I hope he keeps music as his primary hobby while pushing his limits, because he has yet to disappoint. Sometimes being a band's superfan pays off. David Dean Burkhart is a self-proclaimed fan of Ra Ra Riot, and created a video for the band's single and title track from their new LP, Beta Love. The band liked his video so much, they decided to make it the official music video for the infectious song. The video is equally as smile-inducing and nauseating as the original track, featuring clips from a 1980s San Francisco Bay area dance show called "Dance Party." Some of clips sync up really well with handclaps and awesome hair tosses, I think my favorite occurs right around the 01:27 mark. The video is charmingly awkward, and serves as a great tribute to the 80s dance sound Ra Ra Riot was going for in the new album. Album Preview: The Phoenix Foundation - "Fandango"
New Zealand's The Pheonix Foundation are back with their much anticipated followup to 2011's critically acclaimed and commercial hit Buffalo. 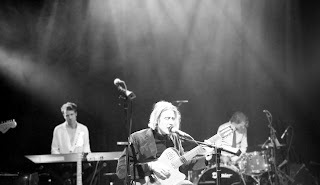 The six piece, consisting of Samuel Flynn Scott (vocals/guitar), Luke Buda (vocal/guitar), Conrad Wedde (guitar/keys), Tom Callwood (bass guitar/vocal), Chris O'Connor (drums) and Will Ricketts (percussion, keyboards), have returned with Fandango. 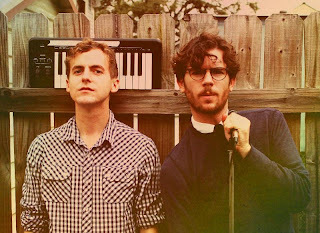 The album features 80 minites of "soulful yacht rock," heard on the album's opening track "Black Mould" along with pysche-folk on "Modern Folk." 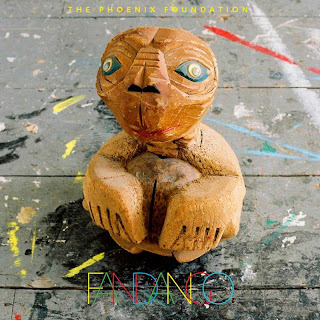 It's easy to see why The Phoenix Foundation have already picked up a considerable amount of praise with the release of the melodic ballad, "The Captain" which highlights the vocal talent of frontman Lukas Buda. "The Captain" can be heard below, enjoy. The new Eels album Wonderful, Glorious is coming out next week (February 5th), and will mark the 10th studio album from the band. That in itself is a pretty amazing landmark for a band that still continues to lay low in the world of modern music. The band have a new video "New Alphabet", which shows frontman Mark Oliver Everett getting bullied by a bunch of kids. The "Screaming Eagle of Soul" is back with a new song from his upcoming album, Victim of Love, which is due out April 2 from Daptone Records. The song is called "Strictly Reserved for You" and serves as yet another great song from the former James Brown cover artist. 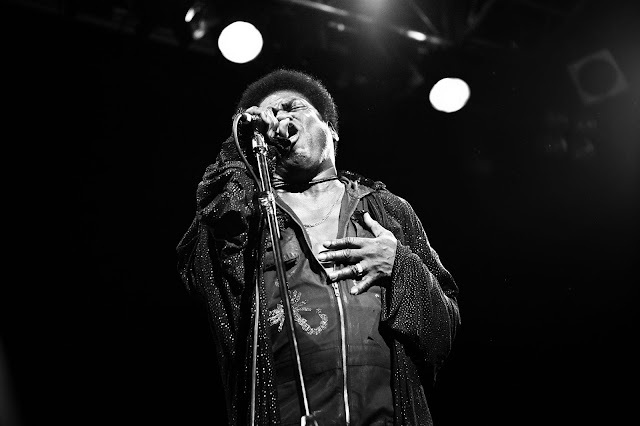 After catching Charles Bradley's show in Milwaukee last year, I felt like a new man. I can not stress enough how amazing his live show is, and I highly recommend you check out his live performance in a city near you (tour dates below). Bradley's show is one that can simultaneously induce tears of joy, pain, empathy, and triumph. You'll thank me for it, and trust me Charles will thank you for it too. 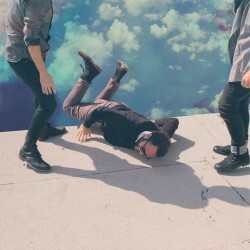 There were very few albums confirmed for release in 2013 that made me more giddy and anxious than the promise of a new Local Natives album. 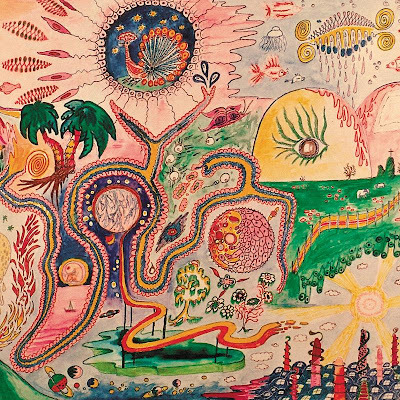 Their previous effort, and first LP, Gorilla Manor, bolstered a sound so attention-grabbing that it was almost impossible to not connect with. 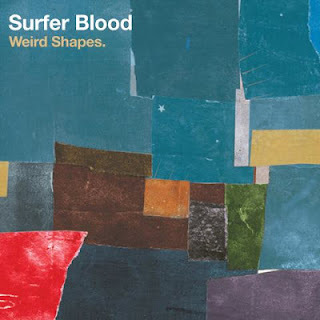 A sound that you could swear seemed oddly familiar, even if it was your first time listening to the album; you'd heard the sound before, but it had never been this good. Gorilla Manor debuted in the UK in November of 2009, but didn't hit the States until February of 2010. Needless to say, the album was a hit overseas, and generated plenty of buzz back home before its release. Songs like "Airplanes" "Camera Talk" and "Who Knows, Who Cares" all gleamed with pop glory, while hitting hard with affection and vehement emotion; "Airplanes" written about a family member never known, lost, but always remembered; "Camera Talk" telling the story of falling in love (whilst on vacation? 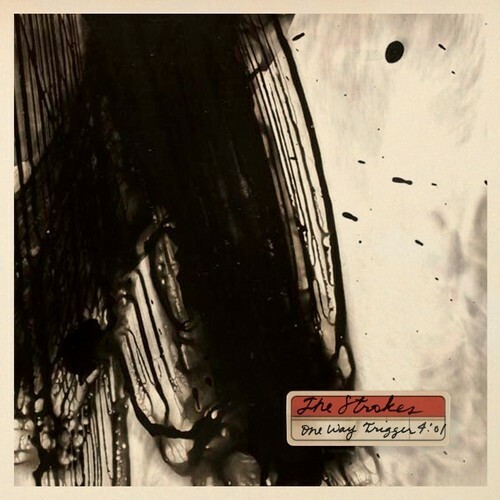 ); and "Who Knows, Who Cares" features a story line of lyrics that make me wish I could've used it as my HS graduation song (and that drum break!). In 2009/10, it really didn't get much better than these songs. All of this lead to my anticipation and frantic desire to get my hands on anything new from Local Natives, and I know I wasn't alone. If nothing else, their new material, or lack thereof, was a very good ploy to build the "giddiness" I felt with each new tidbit of info I got. The band returned home to Silver Lake, Los Angeles, California and built a rehearsal space and studio to begin work on the new album. This allowed them the space and freedom to write songs in a whole new manner, compared to the frenzy that occurred when Gorilla Manor was produced (GM was actually named for the small, cluttered house the band members occupied in Orange County while writing the album). Fast forward, I guess, and Hummingbird is finally filling my ears. It starts with "You & I" a fitting opening chapter to Hummingbird: a slow crescendo, sweeping vocals with range to spare from Kelcey Ayer, and a beautiful piano part that actually makes your toe tap more than the actual rhythm sections. Not to mention emotional lyrics to boot: "Where did your love grow cold?/ The closer I get, the further I have to go/ to places we don't know." Next is the band's latest single from the album, "Heavy Feet" another down-tempo and emotional journey through something seemingly awful. Ayer's ability to wrench your heart with lyrics that are simple yet actually hit you with an uncanny amount of depth. The bridge contains the lyrics "Careful what you say next, don't waste a scene, you're drunk" and if you don't relate to that you're either straight-edge or an actual jolly drunk... either way I'm not buying it. And this is almost used as rhetoric throughout the rest of the album's material. Each song features haunting lyrics and vocal sections, but rarely more than four verses. The songs are all very repetitive, with bewildering guitar and piano parts, providing depth that just begs for the songs to be seen performed live. 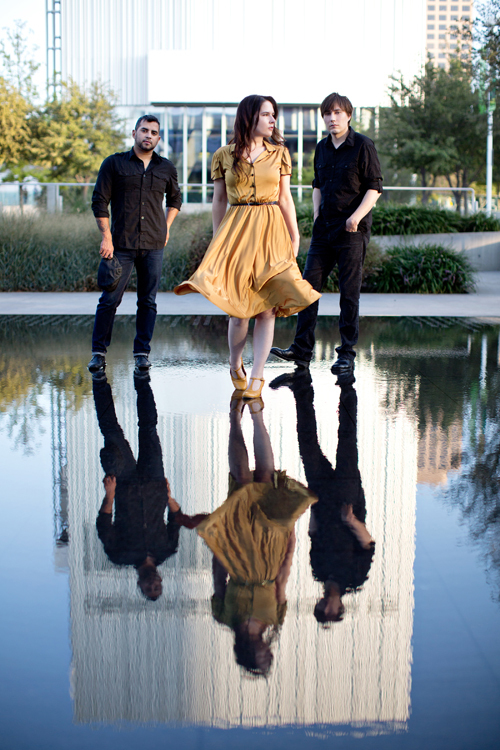 The album's second-to-last song, "Columbia" delivers the theme behind Hummingbird's emotionality, and says "shame on you for thinking we were referring to a pretty little hummingbird..." as Ayer sings in the first verse: "The day after I had counted down/ All of your breaths/ Down until there were none/A hummingbird crashed right in front of me/ and I understood all you did for us/ You gave, and gave, and gave, and gave"
Hummingbird provides a much darker sound than what was put forward with Gorilla Manor. There is no "Camera Talk" - no undeniably catchy song that could garner heavy radio airplay by default. 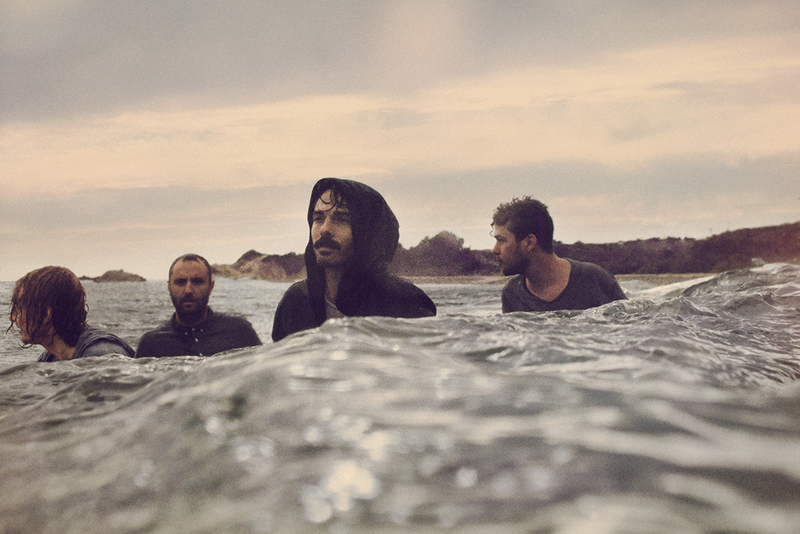 The songs Local Natives created for Hummingbird is anything but light and flighty like its name sake. Instead it is acutely straight-forward, dark, and almost emotionally exhausting. "Black Spot" tells the incredibly macabre story of someone's journey to accepting death: "And I see the things I always knew/ but wasn't sure until now/ that if it comes to claim me/ I won't run." "Breakers" is just as defeating. The last line of the song highlights its motifs: the effects of crippling depression, "Breathing out/ hoping to breathe in/ I know nothing's wrong, but I'm not convinced/ I can let it happen, just let it happen/ Just don't think so much, don't think so much." Ayer shows off his unwavering falsetto with "Three Months" when he impressively hits notes throughout the chorus, and the song serves as a perfect soundtrack to the unfathomable low after an unexpected emotional high. The album continues to stretch itself between these two opposite ends of the emotional spectrum (without ever actually highlighting the "highs"). Local Natives enlisted "new touring buddy," The National's Aaron Dessner to help produce the album, and Dessner's fingerprints are all over it... and his fingers were apparently dipped in liquid melancholy. There enlies my one criticism of the album. The album is so emotionally heavy that it's difficult to believe Dessner wasn't just envisioning a new album from The National while producing Local Natives' sophomore effort. 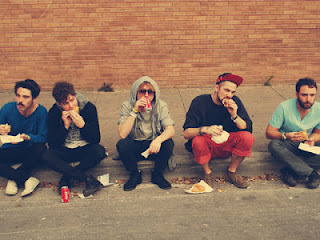 The drums featured in songs like "Heavy Feet" and "Wooly Mammoth" actually sound as if they were sampled from songs by The National. Luckily, the palette of instruments, multi-layered vocals, and Ayer's vocal ability all serve as a saving grace so the likeness isn't as blunt throughout the entire album. While the palette for Hummingbird was very similar to Gorilla Manor, the scope of the album as a whole was narrowed drastically. The sporadic feeling from GM has been completely left behind, not only as an album but as a place. Left behind are the cluttered rooms that resulted in instruments being knocked around, and with them is the sound that setting created. 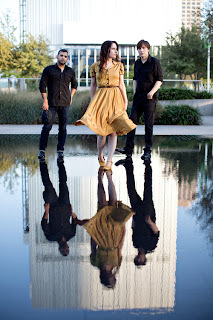 Hummingbird does not serve as a "sophomore slump" but simply a sophomore alleyway that sets them down a singular path. While it would have been nice to have a few songs to illicit positive emotions, the manner in which Hummingbird is explicitly delivered is still satisfying. Tame Impala's "Mind Mischief" from last year's Lonerism is taken to a whole other level in this brand new (NSFW) video directed by David Wilson. The hot-for-teacher video earns most of its NSFW credibility during the spectacular animated, tripped-out portion of the video that is clearly inspired by 80s cult classic, Heavy Metal. Check out Kendrick Lamar performing two of last year's best hip hop songs on Saturday Night Live this past weekend: "Swimming Pools (Drank)" and "Poetic Justice" (sans Drake's verse). Lamar absolutely kills it, performing with a live band behind him, fully-equipped with keyboards, chimes, and saxophone. 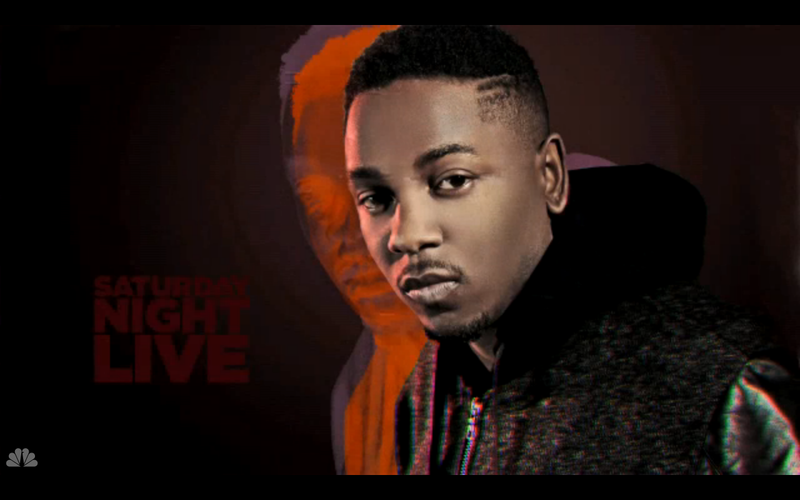 After the live performances, check out the new Lonely Island video featuring Kendrick Lamar. Yes, you read that correctly. Icelandic post-rockers Sigur Ros have announced the release of a new, "aggressive" record in 2013. Along with the announcement, the band has also included a brief video preview of an upcoming song. If the clip is any indication, "aggressive" is the right description. 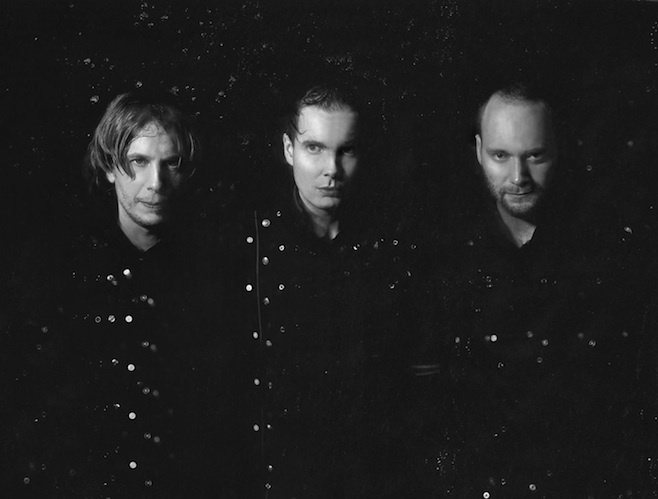 For those who loved Valtari but preferred the dark edginess of Takk (me)- this new Sigur Ros material is for you. Also, for all you Kjartan Sveinsson fans out there, the multi-instrumentalist will be taking a break meaning Sigur Ros will function as an impromptu trio during their upcoming tour. Here's the link to the corresponding article and clip over at Spin. 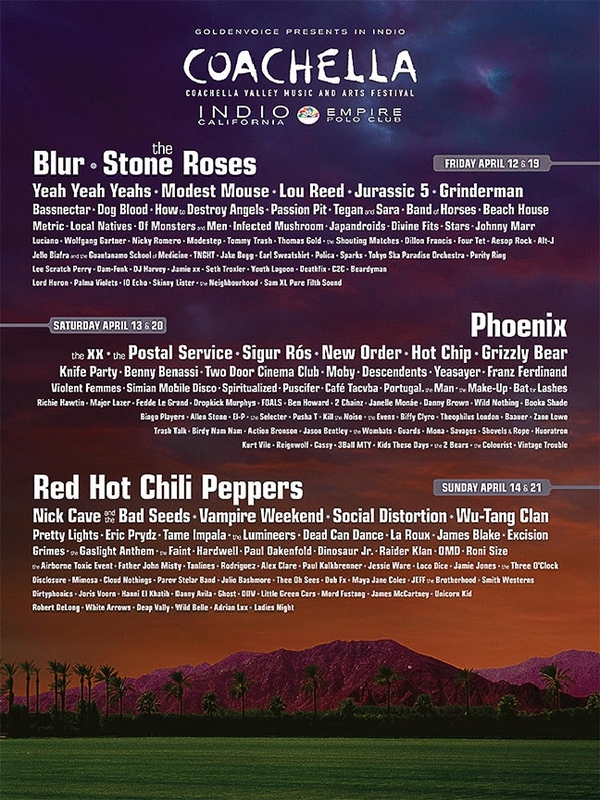 Can't read the bottom of the lineups? Listen: Black Rebel Motorcycle Club Release "Let The Day Begin"
This morning brings us a great track from Black Rebel Motorcycle Club, the first single off their sixth studio album Specter at the Feast, which is due out March 19 from Vagrant/Abstract Dragon. 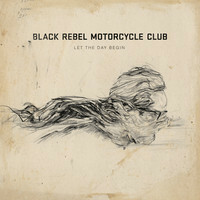 The track is called "Let The Day Begin" and combines the normal sounds you'd expect from BRMC: space-age grunge, garage, psychedelic with a touch of metal. You can stream the track via Soundcloud below, or head over to the band's website and download it for free. Ever since the disbandment of LCD Soundsystem in 2011, founding frontman James Murphy has been simultaneously elusive while maintaining prominence. Murphy can now be found acting, producing new music with familiar faces, and of course, DJing. 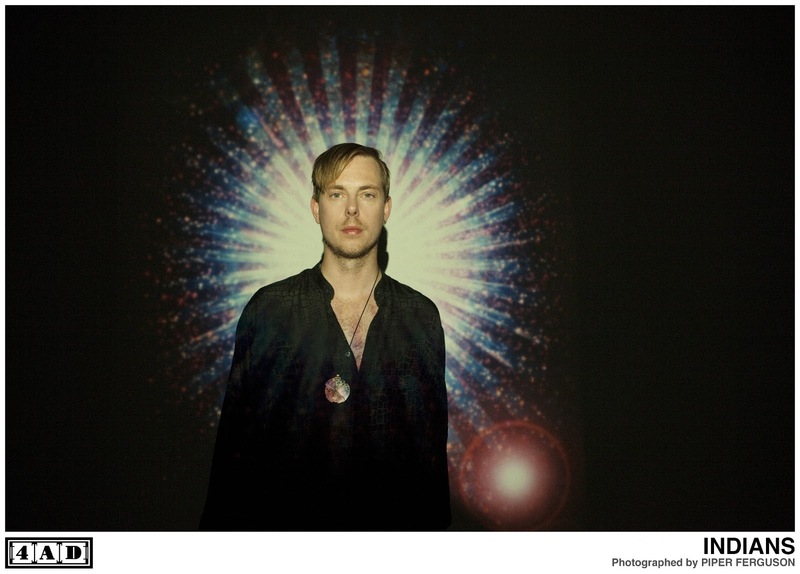 Murphy has stated, in both song and interview, that one of his passions is DJing. 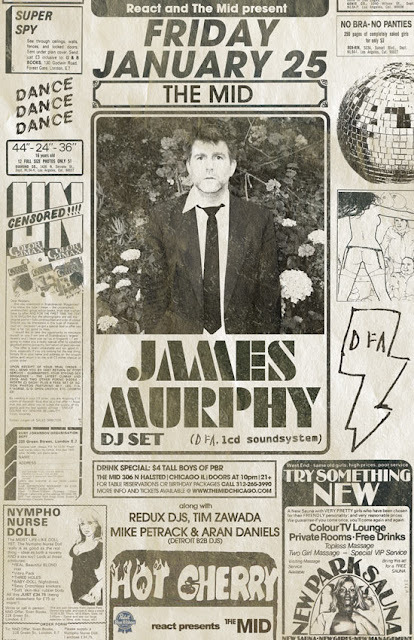 Ever the elitist tastemaker, James Murphy has always been one of the best at bringing his finer selection of music to the masses... case and point(s): "Losing My Edge" and "Daft Punk Is Playing At My House" and the entire DFA record label. The set will be worth checking out based off of James Murphy's musical prowess, alone. Don't expect too much aside from the spinning of 45's of house and soul music, and maybe a few tracks from some of the DFA artist roster. But based on Murphy's knack for crowd control and his apparent via musical stylings, I'm guessing you won't be able to stop dancing. The venue opens at 10 pm and there are a three opening DJs. Tickets are $25 and available here. Check back here at FPT after the set for a full recap of the event. The last time we heard from Ra Ra Riot, we found them at some sort of crossroad as a band as they put out The Orchard. Their traditional sound, laced heavily with strings and classical music-infused indie tracks was being replaced with heavily pop-inspired melodies. The strings were still there, and the album was still subdued and maintained a steady, down-tempo pace to keep Ra Ra Riot's truest fans content. 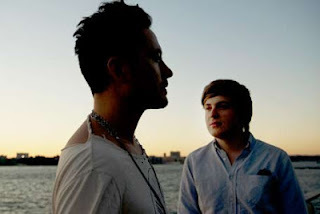 But just before The Orchard was released in 2010, lead singer Wes Miles released an LP (aptly called, LP) with side project Discovery, which paired him with Rostam Batmanjli of Vampire Weekend. 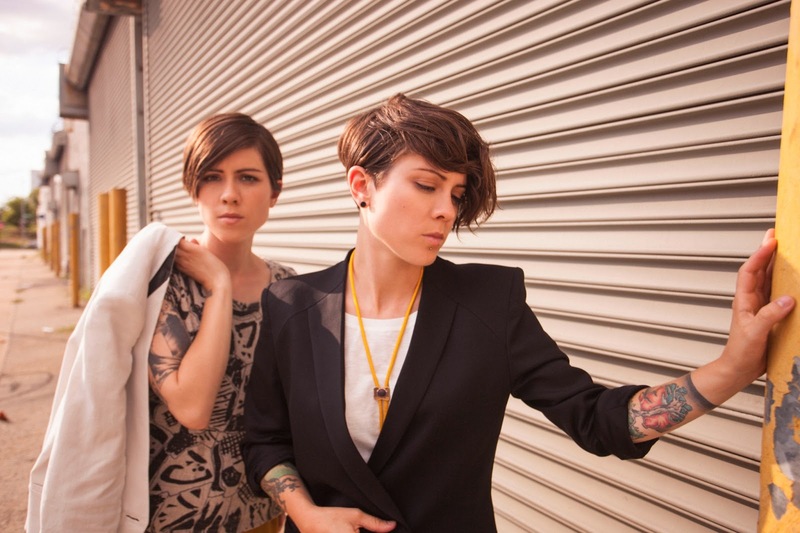 The album was a huge hit and was arguably the best electronic-indie-side project since The Postal Service. Combining a love for R&B and disco, Discovery's LP was an amazing entry for Miles into the electronic music world (LP hasn't left my iPod since). 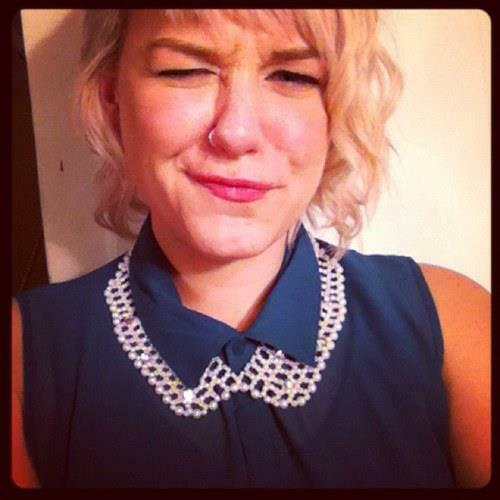 Early last year, cellist Alexandra Lawn announced that she would be leaving the band. The effect this would have on the band had many fans feeling skeptical. All of this has direct correlation with Ra Ra Riot's newest album Beta Love. I've already heard long-time fans of RRR complaining about what they've heard thus far from the album, which takes the cues of Discovery's LP and runs with it. 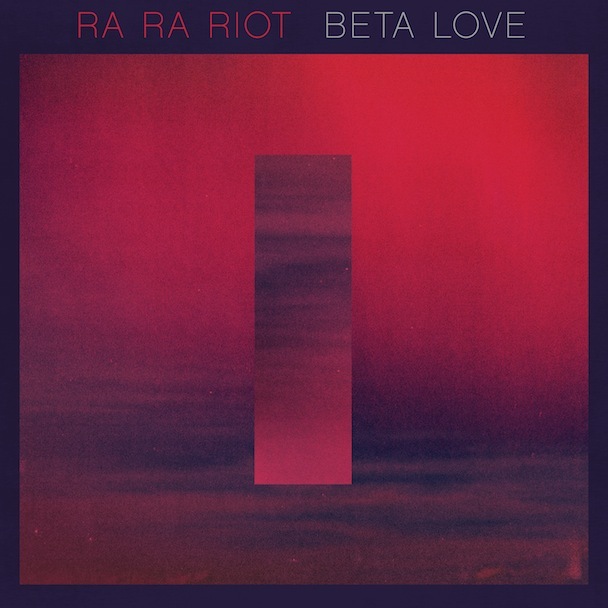 Every critic will undoubtedly discuss the production of Beta Love, because this album is different than anything Ra Ra Riot has done before. It is strictly pop music: ditching the classical music influences for electronic drum machines and some light auto-tuning. It's not to say that the album is bad, but it's tough not to claim it as a disappointment upon first listen. Enlisting the production skills of Dennis Herring (Modest Mouse, Elvis Costello, Wavves) the group built upon demos created by Miles and went from there. The longest track on the album is just over 3-minutes long, with most of the songs coming in at just under 3. 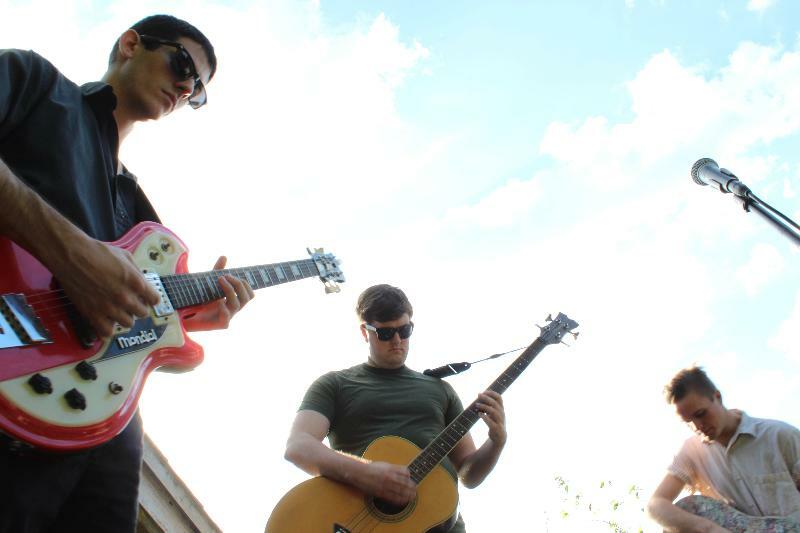 This is a stark contrast from their previous efforts; The Orchard didn't have a track less than 3-minutes long and The Rhumb Line had an average track length of over 3-and-a-half-minutes. But more on this later. 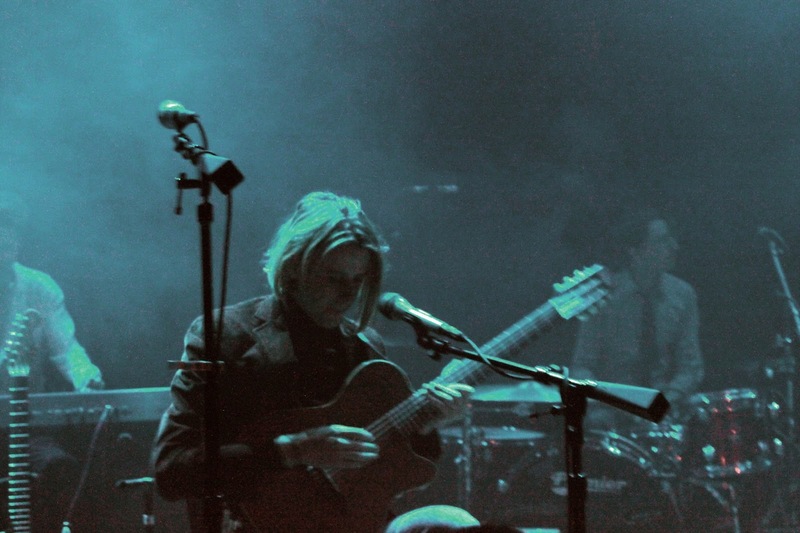 Beta Love begins with a solo showcase of Miles' voice: "Oh I most--/ I mostly feel I had a good day/ Oh I most--/ I mostly feel I had a good day/ it wasn't that great..." on the track "Dance With Me" - a fitting open for what's to come from the album. 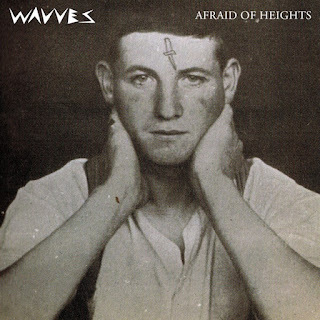 Which proves to be more influenced by electro-pop and powerful new wave than prior works. There are fantastic pop songs on Beta Love, including the album's title track, which is one of my favorite songs of the year thus far. It combines the grace and range of Miles' voice and dazzling keys with club-infused beats and tempo. Uplifting lyrics centered around the theme of transhumanism and the udder joy of falling in love (seriously, pessimists need not apply) in a "city of robot hearts/ ours were meant to beat." The song is so unabashedly cheerful that it's hard to not allow your mood to follow suit. 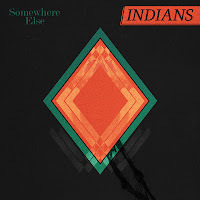 The following song, "Is It Too Much" slows things down a little, but still utilizes electronic drum effects that can be somewhat distracting and feel misplaced. "For Once" and "Angel, Please" follow, and bring the mood and tempo back to those established by the previous three tracks. "Angel, Please" features the most prominent usage of strings on the album, and has a breakdown that again will at least humor you a little. According to Wes Miles, the demo for the song started much slower, but the group took a cue from Dennis Herring and Outkast's "Hey Ya" (no joke), and decided to "all go super happy, super positive" with it instead. And then... there's "What I Do For You" which legitimately sounds like a new Justin Timberlake song. If there's a song that will polarize RRR's fan base, it's "What I Do For You" - featuring layered, squealing vocals, heavy bass and coming in at less than 2 minutes long. 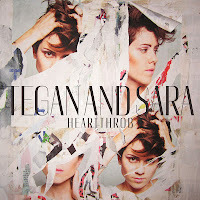 As a whole, there are more enjoyable songs than cringe-worthy on Beta Love: "That Much" features great use of arpeggiators and drum machines, and "Wilderness" is a creepy, dystopian, slowed-down track that sounds much more like old Ra Ra Riot songs than the rest of the album. Overall, Beta Love lacks the depth that The Rhumb Line and The Orchard provided. Whether this is a conscious effort made by the band or if this is a direct cause-and-effect of Alexandra Lawn leaving the group is difficult to conclude. 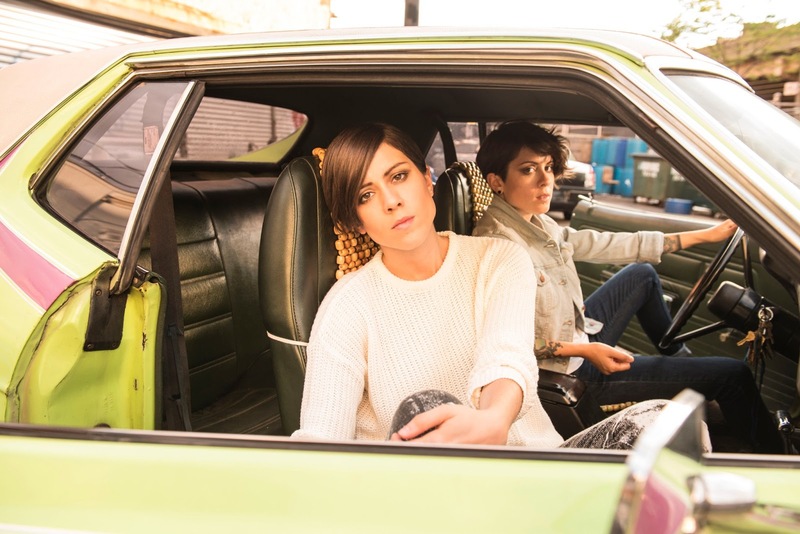 The group claims that the songwriting process was much different; violinist Rebecca Zeller even stated that with the group's previous efforts the thought process was "what is going to be the string part for this?" and Beta Love featured a more "what does this song need? "-mentality: whether it was strings or auto-tuning, the focus was dedicated to the songs, individually. This songwriting process obviously elicits a more fun and straight-forward sound, but I'm not sure it's what most people expect or desire from the band. The general theme of the album is a disconnection from humanism and technology, taking cues from the works and ideas of William Gibson and Ray Kurzweil. And while producer Dennis Herring stressed each member of RRR to rethink their role and focus on spontaneity, Beta Love proves that, for better or worse. Wes Miles has stated "we always liked making music that moves people physically" and the band's third LP will do that, without a doubt. Some listeners will be dancing, others will be taking physical action to hurl the album across the room. Personally, I think it's important to remember the album title, Beta Love: touching on a "test-period" as the term "beta" applies to technology. 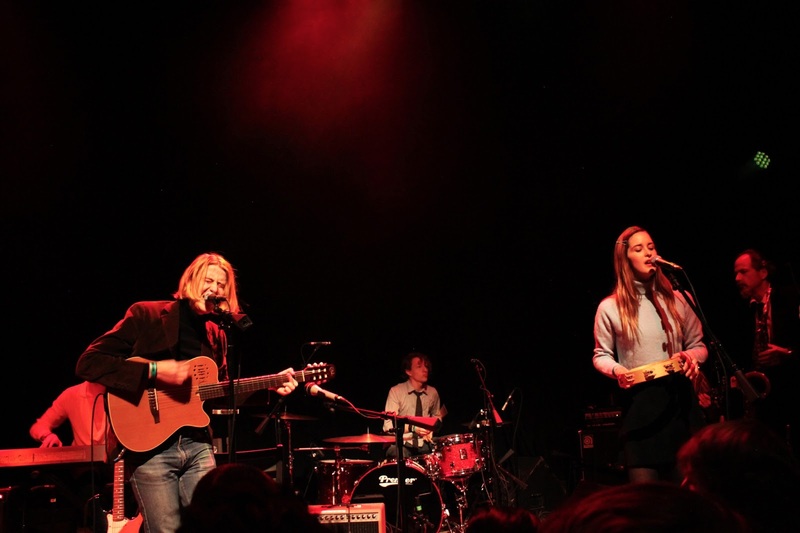 This may be a phase for Ra Ra Riot, or it may be a showcase of what's to come. Either way, Beta Love will not destroy RRR as a band; if anything, it may propel them in(to) the future, producing a sound that is much more accessible and in accordance with current music trends throughout the course of an entire album than if the band had just put out "another Ra Ra Riot album." Watch Frightened Rabbit's, Scott Hutchison performs a pleasurable acoustic version of "If You Were Me" courtesy of NME. The song will be included on the band's upcoming LP release Pedestrian Verse, which will be available February 5th. Although this song was released in 2012, it is currently getting a lot of play in early 2013. From the first few listens you get a vibe of Karen O from the Yeah Yeah Yeah's on vocals with Jack White ripping it up with the guitar riffs. Take a listen below and judge for yourself. 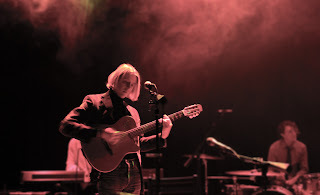 Ty Segall Debuts Video for "Thank God For Sinners"
Check out the video for Ty Segall's "Thank God For Sinners" song off of his Twins album, out now via Drag City. Eye-catching to say the least, the video features the singer surrounded by assorted body parts, whether hands, feet, hips, legs, what have you. The song is great too, which always helps. 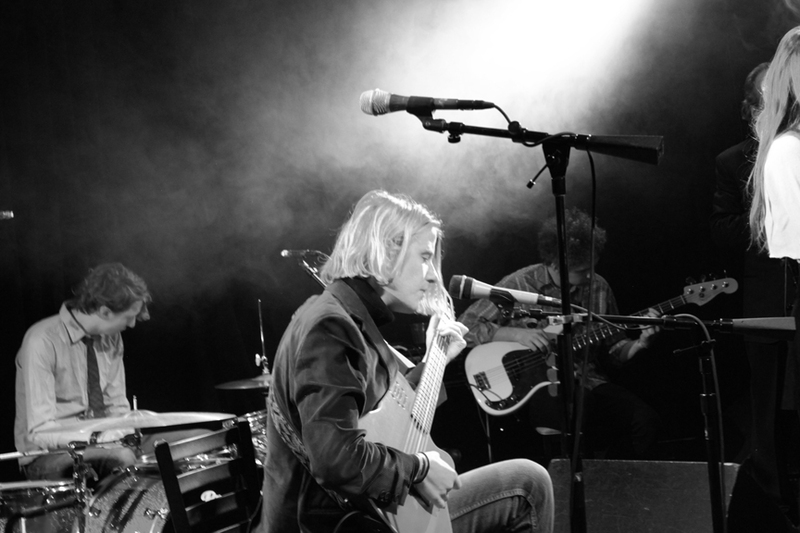 You'll find Ty Segall's tour dates, which kicks off Friday, below the video. Merchandise are a pleasant surprise in the world of music for the year 2013. Their sound is one that is so familiar to the 80's era when things were much more simple and easy to understand. 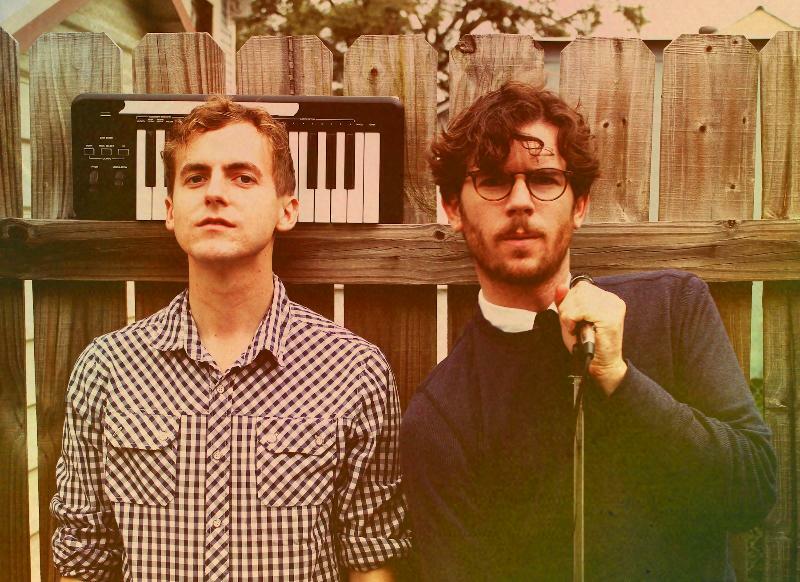 The band hail from Tampa, Florida and are about to embark on a month long tour in March. Check out the track 'Anxiety's Door' below and feel its Smiths/Cult vibes, and for a track that is nearly 7 minutes in length it feels just about perfect. The band are in the process of releasing their EP Totale Nite, which will be available come spring time. explaining things is difficult for me. But music always makes sense." You can preorder Wondrous Bughouse here.